The 27th of January 1967 should not have been a date for history. 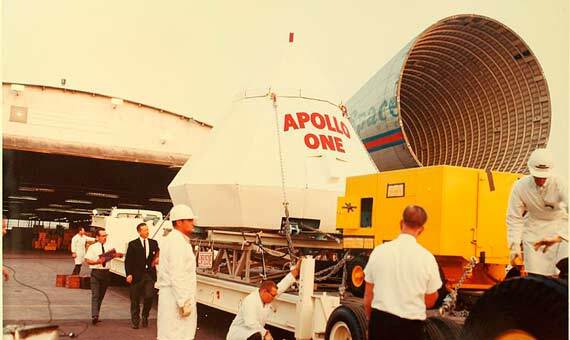 The historic date should have been February 21, the day scheduled for the launch of the first manned mission of NASA’s new Apollo space program, which was to take the man to the Moon before the end of the decade. That first mission, then called AS-204, was supposed to pave the way with the first orbital flight. American astronauts had already travelled into space. In fact, two members of the crew of that mission were veterans: Virgil Ivan Gus Grissom was one of the Mercury Seven of the earlier Project Mercury that Tom Wolfe would portray in his book The Right Stuff. His companion Edward Higgins White had been added to Project Gemini later, but he had been the first American to walk in space. Only the third of them, Roger Bruce Chaffee, was a rookie. However, all three men were aware that, as pioneers of a new generation of space flights, they were taking a risk. But not that day. January 27th was just one more stage in the training routine, a sort of general rehearsal with a simulated countdown and a “plugs-out” test: a disconnection of the ground systems to verify that the Command Module 012, baptized Apollo 1, could operate on internal-power. There was no fuel or explosive bolts. There was no danger. 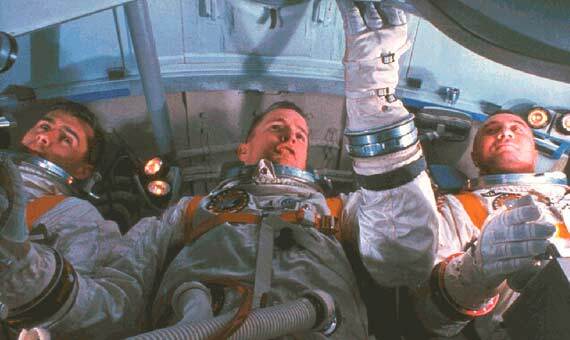 At 1:00 p.m., the three astronauts boarded their ship without imagining that they would not leave it alive. Everything happened in less than half a minute. At 6:31:04 pm, one of the astronauts sounded the alarm over a fire that had been declared in the cockpit. There were confused shouts, and the television image showed White trying to open the hatch as flames swept across the image. At 6:31:22 the transmission was cut off. The fire was so violent that it ruptured the wall of the module, affecting the platform and expelling dense smoke that delayed access to the cabin for five minutes, but by then the three astronauts had already died. It took 90 minutes to extract the charred remains. “The shock of the Apollo 1 accident had a huge impact on the Apollo program,” NASA chief historian William P. Barry told OpenMind. “What was particularly striking was that a ground test, considered as non-hazardous was, in fact, extremely hazardous.” The tragedy paralyzed the program for 18 months, and although much was learned about what had failed, “it was not possible to point out exactly what actually started the Apollo 1 fire,” says Matteo Emanuelli, former-editor of Space Safety Magazine, to OpenMind. According to Emanuelli, “many things were wrong.” Once there was a spark, it was an unfortunate accumulation of defects that unleashed the tragedy. First, the cabin was filled with flammable materials, especially nylon and Velcro nets designed for storage. Even the astronauts’ pressurized suits were made of nylon. All of this could ignite even more easily in the pure oxygen atmosphere that filled the module. And once the fire broke out, the astronauts found themselves trapped without any possibility of escape, since the hatch opened inwards—it had been designed so that the larger pressure difference inside would seal the closure. On the ground, the cabin was filled with oxygen at a pressure higher than atmospheric, so it was impossible to open the hatch. Finally, Emanuelli points out, “the emergency crew was not prepared for such accident,” which explains the long reaction time. Of course, the Apollo 1 disaster put an end to that resistance to change. At NASA, a strong awareness about fail-safe design was generated and the Apollo program modules destined to fly to the Moon incorporated radical improvements. All flammable materials were removed and the suits were made with a fire-retardant fabric. It was decided that the cabin on the ground would be filled with a mixture of 60% oxygen and 40% nitrogen, and that it would only be replaced by pure oxygen once in space when the required pressure was lower. The design of the hatch was modified so that it could be opened from the inside in only seven seconds. But for Williams, the crucial improvement was in the procedures: “Perhaps the main change was increased documentation of all changes to the configuration as they were made, and investigations and recordings of every anomaly.” And in the opinion of the expert, this was the factor that allowed the completion of the Apollo project without further casualties. “As a result, the rest of the program was safely conducted,” Barry also concludes. ” Nine missions were flown to the Moon with six crews landing there, and even with an explosion in the Apollo 13 Service Module all of the crews returned safely to Earth.” Possibly this was the greatest legacy of the Apollo 1 astronauts: the Moon.